Trail Riding, 3 day competition, loads of good food and good times! Does not matter what breed of horse or what discipline you ride, you can get awesome high point wards through OQHA and all the extra benefits they offer as well! be sure to sign up today! 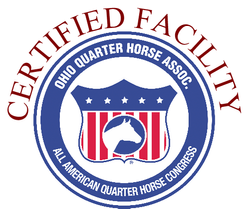 High point Rules: Must show in at least 5 Challenges & be a current member of OQHA. How scores are tallied, TBA for exact details ~ will go off of placings. High points will also be listed on the OQHA website for viewing throughout the season, as well as here.